Approximately 25 inches in length and with a 43 inch wingspan. They weigh about 3.5 lbs. Cackling Geese look like a smaller version of the common Canada Goose, but the Cackling Geese have a more round head and a very small bill. Cackling Geese can be found in coastal marshes, tundra, streams, ponds and steep turf slopes above rocky coasts. In the summer they breed from western Alaska eastward across northern Canada to Baffin Island and south to central Yukon. In the winter they can be found from British Columbia southward to California and eastward to northern Mexico and western Louisiana. Entirely herbivorous, eating a variety of plants but mostly grasses, grains, sedges and berries. They will also eat aquatic vegetation. Based on their close relative the Canada Goose, they can live on average 10-25 years in the wild and in captivity can live over 40. 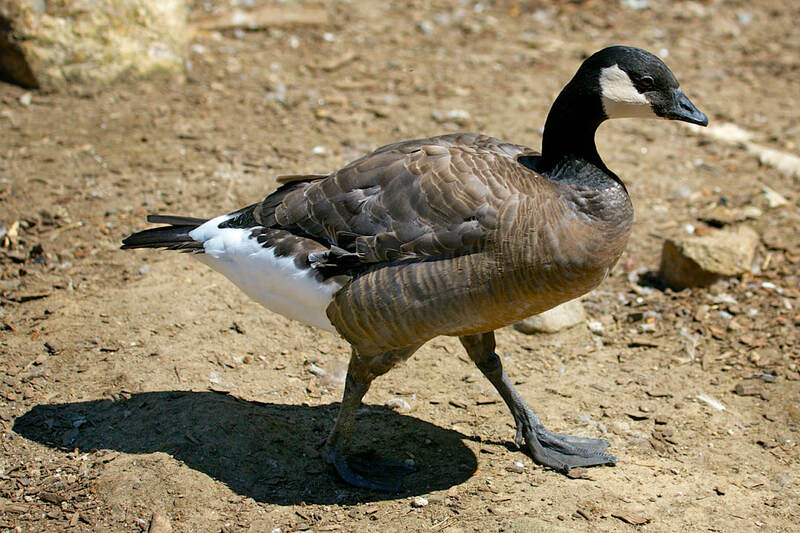 Breeds farther north and west then the Canada Goose. Cackling Geese are ground nesters that build a nest slightly elevated and near water, and they sometimes nest in cliffs. They usually lay between 2-8 eggs. Common and managed for hunters. 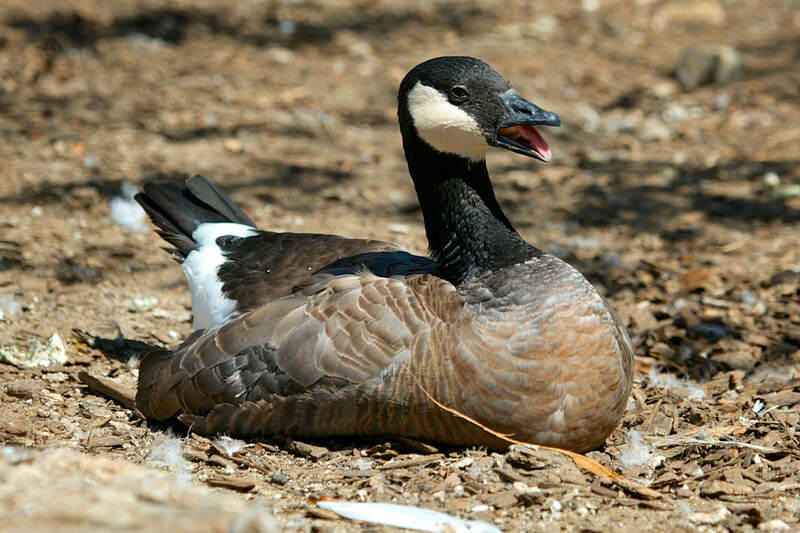 ​The Cackling Goose was a subspecies of the Canada Goose, but it was decided by the American Birding Association in July 2004 that the Cackling Goose should be listed as a separate species. Our Cackling Geese live in our large domestic waterfowl pond in the New England Farmyard. They look similar to a Canada Goose.